Discussion in 'iPhone and iPad Games' started by FrozenPepper, Dec 25, 2015. Very happy to write that our latest effort: RC Plane 3. The game is free with "NON-CONSUMABLE" in-app purchases. We will be back on this thread with some promo codes to shares, so stay tuned. As with RC Plane 2, we plan to add content, game modes and features to RC Plane 3 for many years, and to do this, your feedback is fundamental, so please help us constantly making the game better and provide all your feedback, ideas, critics that comes to your mind, we will surely take it into consideration. Great thanks for your time , and Merry Christmas to you and your family ! Two new trailers for the occasion ! *NOTE :Please check end of page for device support list and other important notes. The third chapter in the RC Plane series brings a whole new engine, realistic physics and a huge scenario to explore at real RC Plane scale! Learn to fly a large selection of RC Planes in huge and beautiful scenarios rich and full of detail. Grab an easy flier to enjoy a majestic sunset over the hills of Tuscany or hop in a fast stunt plane to fly through barns and high voltage pylons. Practice landings, stunts, wind handling and cow scaring or compete on global leaderboards across the many challenging game modes. - NEW : 2 free scenarios to explore. - Realistic physics using real-life stabilization techniques to help beginners get into the world of real RC Plane flying. 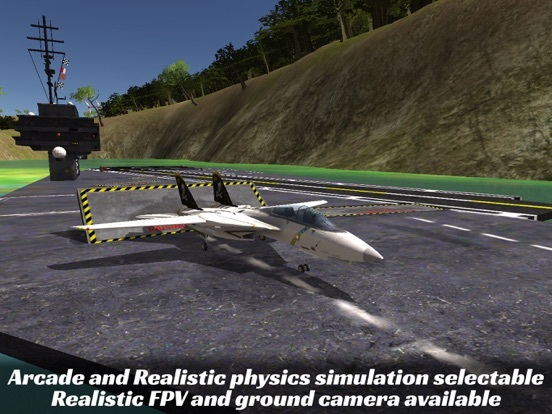 - Arcade Physics to enjoy a slower paced flight as in RC Plane 2 - Enjoy a huge (and FREE) scenario and explore 4x4 mile environment on a micro scale. - Realistic FPV and ground camera modes available for pros. - User selectable FPV camera field of view > replicate your real life camera ! - Rich soundscape and beautiful, original soundtrack. 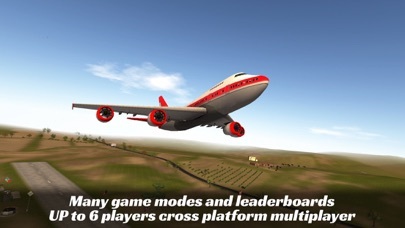 - Up to 6 players online free flight and team deathmatch ! - Combat Survival game modes have you dogfight against realistic AI opponents ! - Many leaderboards and challenging game modes to compete on. - King of the week competition grants you a chance for global weekly glory ! - A growing list of game modes and vehicles. 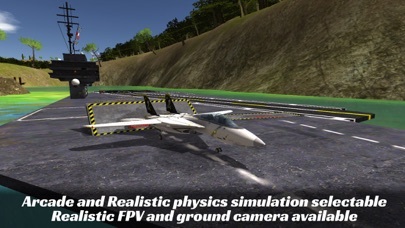 - Drone simulation available in game. 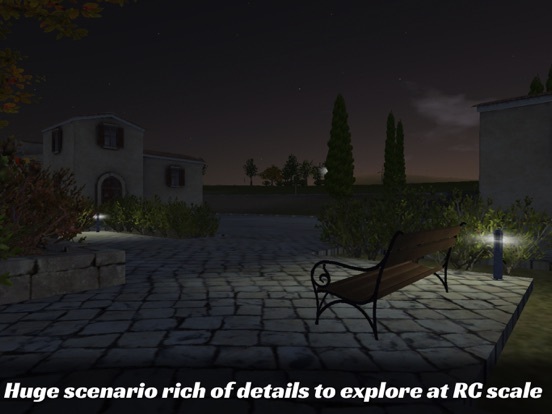 - Realtime illumination with realistic Night and Day cycles. - Game Center leaderboards and achievements. - Much, much more to discover in-game. New engine is built to grow, so expect a constant flow of updates bringing fixes, improvements, new game modes, vehicles and scenarios! We'd love to hear your feedback and ideas so please post and share on our forums, comments sections, Facebook , Twitter, Email or even smoke signals:). Your feedback is what makes this game better. * DEVICE SUPPORT Due to the demanding physics model, scenario and graphics, we had to cut support for older devices, this allowed us to build RC Plane 3 with a long lifespan in mind. So the minimum requirements are: iPhone 5, iPad Mini Retina, iPad 4, iPod Touch 6th gen. Sometimes your device might have many other apps running in background. If you are experiencing crashes, restart your device for much better performances. Thanks to user feedback we found an issue that could freeze the game in case of server disconnection in some phases of the multiplayer match. We should have already fixed the bug causing it, and in a few days (when Apple will allow submissions again) we will send a new update (containing other improvements too). In the meantime the first 3 users to post here some feedback about the game (after having tried it) will be able to choose 2 in-app purchases from the game and they will receive a promo code for them. Hi Cerbo, great thanks for your feedback. Could I ask you more informations about the "Game center bug " ? We are not aware of bugs regarding game center, so any info will be very useful. I had no problem logging in w Game Center. Really enjoying this game as I love flying and RC is a lot of fun. Really lkke the controls and the ability to pull off stalls and maneuvers. Great game and I'm playing on an iPhone 5s running latest iOS 9 it runs very smooth. Thanks for this great RC sim. Just what I've been looking for in a RC sim realistic but also fun and challenging. Can't wait to try out the Airbus RC style! Thanks for the reply cerbo ! Sorry for the issues you are experiencing with game center, but somehow happy that it isn't related to a bug in our game...... Hope you'll get to enjoy RC Plane 3 as soon as possible. (It will take a few minutes, but you can create a user in RC Plane 3 even without GameCenter, let me know if you care for some instructions on how to). Thanks for the kind words and feedback !!!! We have tons of scenarios, game modes and vehicles planned for future updates, so hope to keep you "entertained" for some years to come. Thanks for the reply cerbo ! Sorry for the issues you are experiencing with game center ... (It will take a few minutes, but you can create a user in RC Plane 3 even without GameCenter, let me know if you care for some instructions on how to). I never got the chance, it seemed to hang during startup, how long should I wait on iPad Air before I see the user screen? I guess I will need instructions. Argh...Super sorry bigrand1, there is definitely some problem GameCenter related. We are looking into it now, and hopefully will have an update soon. We are not able to replicate the bug, but apparently in some occasions GameCenter never returns a result for the login attempt (or at least, this is what we are thinking now). -log out from GameCenter from the Game Center app. - Launch RC Plane 3 and don't use Game Center for login. (either choose the "Fast" account option or create a full one). I think you are having the same problem as bigrand1, so what written above should apply also in your case. In general, very sorry for the issue, and GREAT Thanks to helping us with your feedback and reports. Hope to be back with good news. This is a great RC plane sim, flight sim and game all rolled in one and really teaches you about RC and flying in general. Very fun to pick up and play a few mins or play for long stretches. The controls are spot on and at first it can be tough but once you get the hang of it and bust out some tricks etc you will actually feel like you accomplished something. I love a game that challenges and then rewards me. Get it now you will not regret it! The IAP is optional and will not make or break your experience however it does kill the ads and helps the dev out which is cool w me. The ads are not bad placed ads etc and are def tolerable. Great thanks for your feedback ! Very happy you are enjoying RC Plane 3 and it's challenges and hope we will be able to keep you entertained for many years with all the content we plan to release for it. 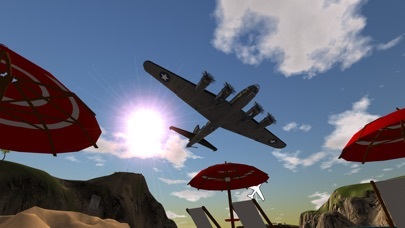 Happy to write that we have submitted to apple a new update for the game fixing some multiplayer related issues, other bugs and mostly, game will default at "Normal" difficulty for all planes so to avoid confusion from users who think that their plane can't do loops or rolls past 45°. I also have some promo codes for current version left, so anybody willing to try the game and post some feedback can pm me with the in-app they would want unlocked. Version 1.101 is now available for download with some important changes , the main one being that game will default in the new "Normal" difficulty mode since we had many users confused by beginner mode (not allowing loops or complete rolls). Normal difficulty mode has no limits on rotations but uses stabiliser to assist user keeping altitude and heading. Included in the update are also many fixes to multiplayer matches. About the Game Center login bug, we should have isolated the problem, (It has been very hard to replicate and find a user who was experiencing the problem to test the fix on) and we are now in the process of preparing a new build for the App Store. Great thanks to all for the precious feedback ! 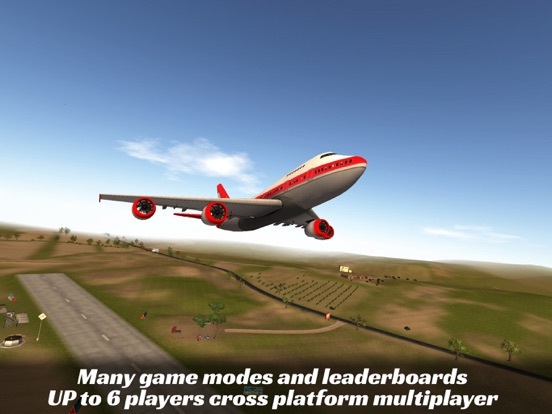 - completely new "Arcade mode" that brings selectable RC Plane 2 like physics to RC Plane 3, new race tracks, leaderboards and achievements where made especially for it. All game modes and vehicles are playable in "Arcade mode"
- LOD fading that greatly reduces "popping" of details and scenario objects. - 2 special planes as a gift for RC plane 2 players ! - Many improvements to memory handling and performances. Hope you will enjoy the update. 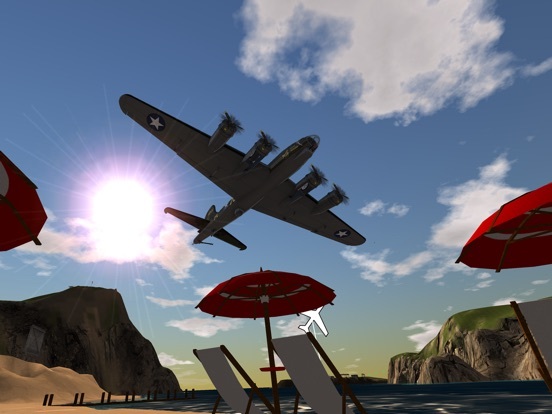 Just a fast tease from soon coming RC Plane 3 1.4 update which will bring water planes and much more ! Happy to write that version 1.5 is now live on the AppStore bringing all new DroneGP game mode with tracks made especially for quadcopters. New version brings also a new free vehicle and a ton of bug fixes and improvements. RC Plane 3 is now on Steam Greenlight ! game is completely multi-platform with cross-platform multiplayer and all your progress, purchases and unlocks carrying across your devices and platforms. A ton of new features, improvements and fixes are coming to mobile version too, more news soon.